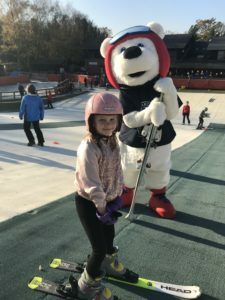  Polar Bear Ski lessons for 5 year olds. 11.30am start for 45 minutes & a chance to tube! £40.  Beginner Lessons for 6 – 11 years. A great introduction to skiing for beginners. £50.  Continuation Lessons for 6 – 11 years. For children who have successfully progressed from Beginners. £50. Interested? Call reception to find out more or book!